Within each game you will receive a myriad of options that I expect in all my retro re-releases, but sadly rarely receive. There’s the eye-catching features like concept art and original manual cards that you think you’ll show interest in and yawn off, but once you enter the options screen it’s quite impressive. Most controversial on that options list will be the visuals – as retro games continue to be released graphical options can become a touchy subject for purists and contemporary gamers alike. 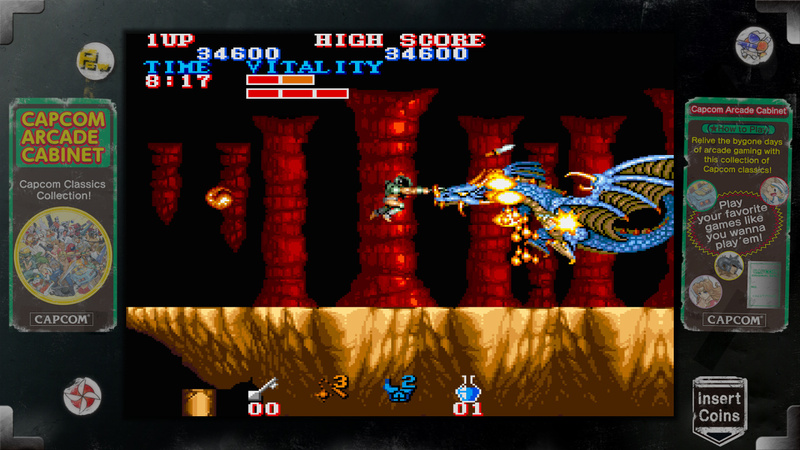 You can do anything with the original style visuals, complete with functions like stretch, pixel-to-pixel, and full screen options, smoothing can be tweaked, scanlines can be integrated, custom dimensions for the screen, you can toggle on and off coin deposits, and additionally all of the dipswitches from each game are integrated into the gameplay menu. You are also free to change the controls and sound options to your liking. Basically everything in the MAME list is here and ready for you to change to your liking. You also have the option to play the games in a training, casual, and actual mode allowing you to breeze through titles just to see the ending or challenge yourself to get to the end as intended. As you start up each game it looks and feels exactly like you wanted it to, provided you took the time to customize your options, and plays silky smooth just like the arcade game. It’s not really some marveled achievement, truth be told, but it’s something that most companies don’t seem to get right in these ports. At the end of the day it’s going to come down to whether or not you want to fork over $5 for a pack that contains at least one of the games you want. If so, the benefit is that you can create the type of experience you want out of your home television and it’s easy to play and get friends involved in, something that MAME definitely is not. Capcom gave its arcade titles the treatment they deserved for a price that may actually generate sales and for that I commend them. 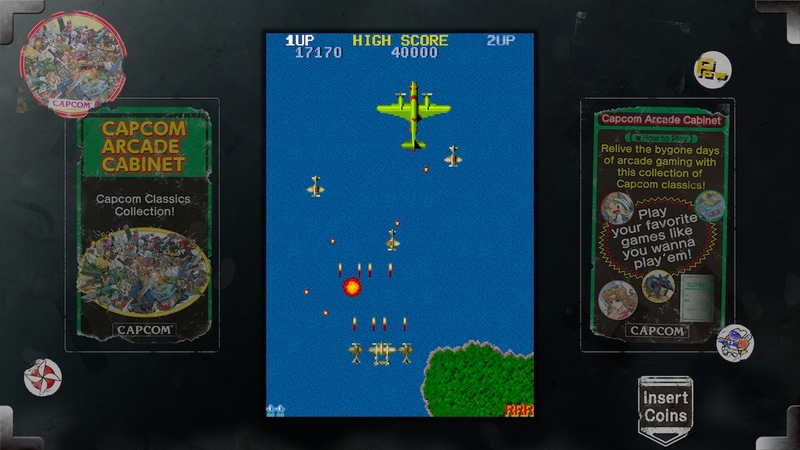 If you’re still not sure whether the customization is to your liking, download the game for free and play the included game Black Tiger to see if it provides the arcade experience you’re looking for. As for me, it’s just another option among many that stands out because those responsible for the port took pride in bringing back a classic in the most flexible form. 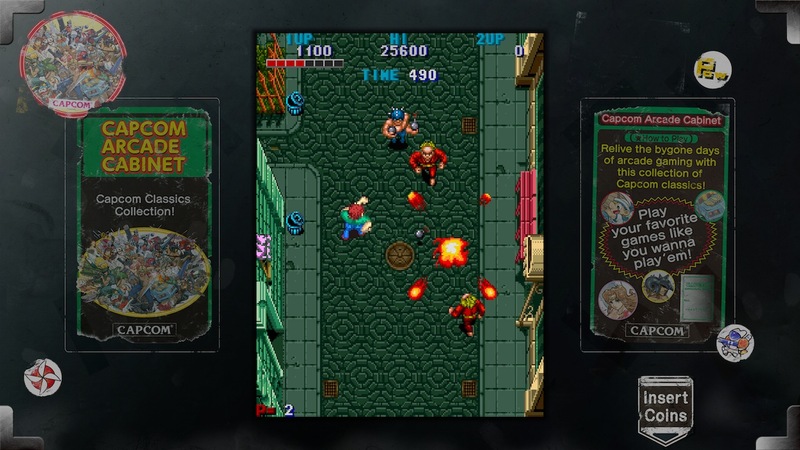 Capcom Arcade Cabinet is available for free in the Xbox Live Arcade and Playstation Network stores and includes one game, Black Tiger. Game packs will be made available that can be purchased for $5 each in the upcoming weeks. This title was provided to our site for review purposes and we spent more than five hours playing all of the currently available games. Both the XBLA and PSN versions were played with no noticeable difference between them. I’m always trilled to find news or articles about retro arcade games and the best thing of all is that they can be spotted on different original ports for modern consoles with all their cabinet option and alike, giving them a fair chance in front of the Mame or other emulation systems. I’m not against Mame as I use it myself because I’m a big fan of classic games and I just can find another way to reunite them all, but I also like the feel of “the original”.